http://www.tekelspark.co.uk: offers residential facilities available for those visiting St. Francis Lodge, which meets at the Temple, Tekels Park. https://logehiram.org.uk/index-eng Established in 1899 in London, the Hiram Lodge is the first liberal lodge in Britain. The Lodge belongs to the Grand Orient de France, and receive all the men and women who wants to work together to the improvement of the Humanity. (Website link not available) Freedom of Conscience Lodge. A Grand Orient lodge which works the French ritual in English. http://www.thewhiteswan.org "The White Swan Lodge, No 1348" is a lodge of St John of the Grand Loge de France working in French in London, Uk.The Grand Lodge of France was lawfully established by at least three lodges coming from a regular Grand Lodge. It is truly independent and self-governing, with undisputed authority over Craft or basic Freemasonry (i.e. the symbolic degrees of Entered Apprentice, Fellow Craft and Master Mason) within its jurisdiction and not subject in any other way to or sharing power with any other Masonic body. It mostly works the three Craft (Blue) degrees of the Ancient and Accepted Scottish Rite (A&ASR). Its members and visitors are men only. GLTSO lodge REUNION FRATERNELLE ET TRADITION remains committed to the initiatory aspect of Masonry, the rigorous practice of rituals, the study of symbols, the spiritual perfection of its members, the fraternity with all masons, whatever their membership. His works take place under the auspices of the Great Architect of the Universe. It does not opt for a direct intervention in political life and "civil society", but enjoins its brothers "to carry among the other men the virtues they promised to set an example". On the other hand, it participates in Masonic humanitarian works, because "beneficence" is an essential duty of the Mason to the RER. Exclusively male by historical tradition, it nonetheless counts among the Obediences it recognizes, mixed or feminine structures: the Grand Lodge of France, the Human Right, Grand Lodge Mixed of France, Grand Lodge Feminine Memphis Misraïm and the Grande Universal Mixed Lodge. To promote the development of young people in achieving their full physical, intellectual, social and spiritual potential as individuals, responsible citizens and as members of their local, national and international communities. To create in the minds of the young a recognition of the unity of people and of all living things. To help the young to be happy and useful members of society . This website aims at informing both prospective members and people who are already member of a mixed gender or women-only Masonic organisation. Most information about Freemasonry online is from so-called “regular” Freemasonry. The information about other forms of Freemasonry is scattered and fragmentary. Hopefully this website will be a starting point for people looking for more information. You will find some general information such as history, what the difference is with other forms of Freemasonry, but also a list with organisations that are active in every country that I could find information about in the world. The information is short, but (if available) provides a link to the organisation. "to extend the hand of welcome and fellowship to all those with a genuine and positive interest in Freemasonry regardless of gender, creed or any other characteristics". The Masonic Magazine where Freemasons find educational material for Masonic lodge lectures and their daily advancement in Masonic knowledge after initiation. 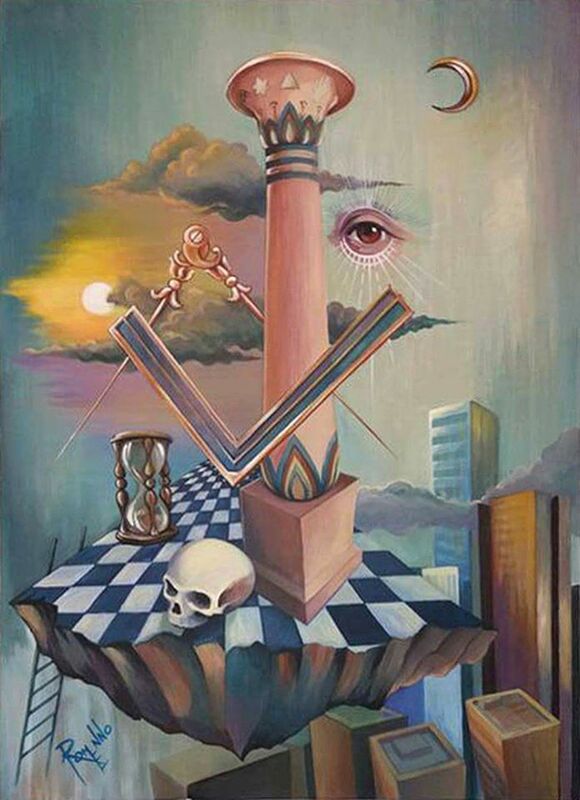 A free Encyclopedia of Freemasonry, a comprehensive tool for the Freemason looking for more light and an open door to the world of the Free Masonry for non-Freemasons. PS Review of Freemasonry is the oldest, most popular and famous Freemasons' online publication written by Master Masons of a Grand Lodge of Ancient, Accepted Free Masons. 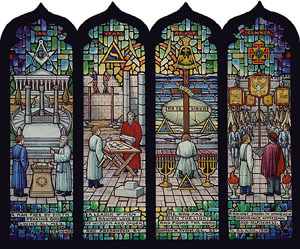 Freemasons recognized as regulars by the United Grand Lodge of England or by a Grand Lodge of the United States of America, Prince Hall Masonry included. PS Review of Freemasonry has been established on July 17, 1996 and since then eminent Freemason Scholars, members of Quatuor Coronati Lodge 2076 United Grand Lodge of England, Australian and New Zealand Masonic Research Council, the Ancient Accepted Scottish Rite Research Society USA and The Philalethes Society USA, have published their Masonic papers on this site. We believe that faith in God gives meaning and purpose to human life; that Masonry was, "the original network," of like-minded men who united in a common cause to share their opinions and work together on constructive projects. Now to complete this evolution, it must be transferred on a global scale to the internet. The designs upon our electronic trestle boards will promote research and education and advance our historical foundation and rich cultural heritage. Our mission is to clarify the present through appreciation of the past. We believe that Freemasonry recognizes that times do change and we must grow with them. Our roots are firmly planted in the Renaissance of the Dark Ages, but its branches extend into the future. That future is one of technology, science, literature and music and is a course we as Phoenixmasons (e-Masons) are committed to shine "further Light" upon. We believe in those solemn obligations taken at our sacred altar to provide for the less fortunate, exemplify patriotism, and perform the duties of citizenship. Now, let us enjoy true fellowship attending this electronic educational resource while practicing its principles, tenets and beliefs; ever-remembering that it is the shared synergy of Brotherly Love and affection that heals us both physically and spiritually. WHAT IS THE WINDING STAIRS? The Winding Stairs is dedicated to helping you learn more about Freemasonry and to helping you become the best version of yourself. Through thought-provoking articles, podcast episodes, educational videos, and inspiring art, we intend to help you implement the life lessons you find in Masonry. We are passionate about the step by step journey to living a life worth emulating. Let’s walk together with a firm step and an illuminated path, as we continue our journey up The Winding Stairs. The “Knights” of The Masonic Roundtable were assembled in February 2014 with the duty to spread Masonic light around the world. The Masonic Roundtable is a weekly podcast panel of Masons from around the United States who discuss the latest and greatest in Masonic news, events, scholarship, and happenings. Join the conversation. FreemasonInformation is a Masonic web magazine for both Freemasons and those interested in the fraternity of Freemasonry. This websites principal aim is to provide a means to discuss, editorialize, and provide commentary about the craft, its role in society, and areas of interest to membership. Its also strives to bring interesting aspects in the news both from within the fraternity and without so as to create a working space for Mason though leaders, active lodges, and interested members to discover the information. Freemason Information also exists to broaden the understanding of non Masons who have an interest in the fraternity. While each Grand Lodge should speak to Freemasonry in its individual state, this site can offer a broad overview to the organization and its many components. Important to note, this site is neither the instrument or vehicle of a Grand Lodge, Rite, College, or body. Nor does it speak for a particular organization of Freemasonry. It is entirely independent, operated and funded out of a passion to continue the legacy of the ancient and honorable fraternity. This website began when Dr Robert Lomas of the University's School of Management, decided to create an electronic database of the Masonic material held in many of the University's Special Collections as part of his on-going research into the cultural origin of scientific ideas. As other material has been donated to this work it has been added to the archive. None of the rituals and statutes recorded in the data are currently in use. It is in effect a scrap heap of discarded ritual and belief. But just as an archaeologist can search through ancient midden heaps and in doing so discover a lot of information about the people who dumped the rubbish, so this archive gives valuable insight into the cultural contributions of Freemasonry. Whilst researching the book Turning the Hiram Key Dr Lomas obtained copies of out-of-copyright published material by the Masonic writer Walter Leslie Wilmshurst and transposed them into web-format. A section of Wilmhurst's writings, with the full text of rare items, has now been added to this site. If any readers have old and discarded Masonic material they would like to contribute to this conservation project then please click on the link marked Content Manager at the foot of this page.